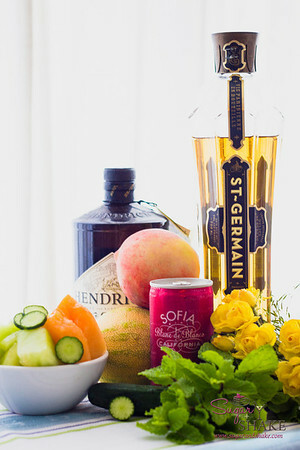 Last fall, for the first time, St-Germain partnered up with Martha Stewart and opened up its Fifth Annual Can-Can Classic cocktail competition to amateurs. Whoopee! J’adore St-Germain! I did a little experimenting and came up with a sparkling cocktail inspired by the Parisian open air markets, dubbed the Rue Cler (after one of the more famous market streets). Last month, the grand prize winner of the contest was announced. It wasn’t me, otherwise I’d be $10,000 richer RIGHT NOW. (The other prize option was a trip to Paris, but, uh, I could use the cash more than a trip…which would you take?) I also was not one of the 100 runners-up (and thus have no swanky St-Germain bicycle to pedal either — that was the runner-up prize — not that I’d know what to do with one, nor where we’d store it). Je suis très triste. Named after Rue Cler, the famed French market street, this sparkling sipper incorporates the fresh fruit, floral and vegetal flavors of the urban markets of Paris. 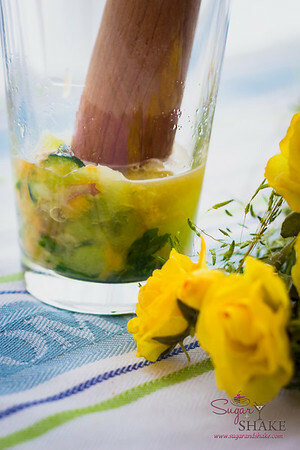 Muddle fruits, cucumber and mint leaves with lemon juice in a Boston shaker. 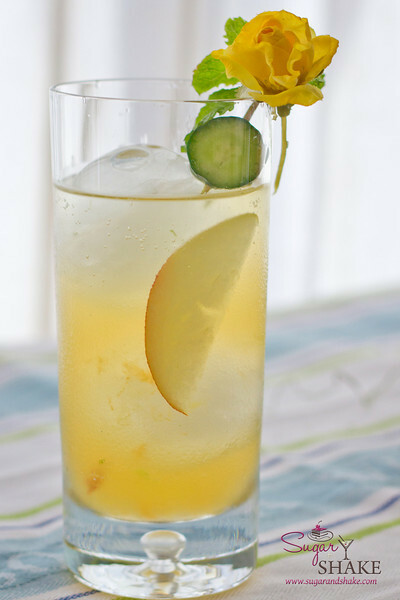 Add ice, St. Germain and Hendrick’s gin. Shake. Strain into a highball glass over two large spherical ice. Add Champagne. 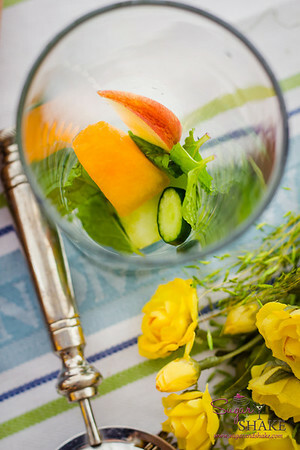 Stir well, garnish with mint, cucumber, peach and edible flowers. If desired, freeze edible flowers into ice spheres before serving. In retrospect, I probably should have done something more daring and complex — but I felt burned by the last contest I entered, where I think my submission was too complicated for their taste. Oh well. C’est la vie.